MRO Electric carries new and refurbished Magelis HMIs. To request a quote, please call 800-691-8511 or email sales@mroelectric.com. Why is the Magelis XBTRT511 is not giving me the correct floating point value reading on the alphanumeric display when communicating with a Momentum? If you address the alphanumeric display as a %MW that is incorrect. To read a floating point value, you need to address the alphanumeric as a %MF. Does the Magelis Panel PC, HMIPUC9D0E01, have line out to connect a speaker? Yes, the Panel PC HMIPUC9D0E01 have a Line out to connect an external speaker. Can I lose my alarms log in Vijeo Designer V4.5 when power cycling my Magelis XBT-GT? Each alarm group can have 2 such alarm buffers: one for History alarm events (size defined by the “Num of History Alarms” property) and one for Log alarm events (size defined by the “Num of Log Alarms” property). These alarm buffers are stored in the DRAM (Dynamic RAM: similar to the RAM of a PC) of the target. Therefore, if the target is turned off, the alarm buffers are wiped out. If you need them to be saved even when the target is turned off, you can enable the “Backup Alarm Group” property (at the global alarm level). This way, these alarm buffers will be stored in the DRAM and in the SRAM (Static RAM: doesn t get wiped out when the target is turned off) as well. Since the size of these alarm buffers is limited (the maximum value for the “Num of History Alarms” and “Num of Log Alarms” properties is 10000), they won t always contain the whole history of alarm events on the target. To obtain that behavior, you can enable the “Save To File” property (at the alarm group level). This way, the alarm events will be saved into Excel files (on the CF card) and these Excel files will contain the whole history of alarm events for the corresponding alarm groups. Is there a RS-485 cable to connect a M221 to a Magelis XBTN401? No other pins can be used because the M221 can also be configured for RS-232. (can not use a straight through Ethernet cable). What is the meaning of “PLC Returned error code 02H” for Magelis Targets HMIGTO ?The error “PLC Returned error code 02H”, means that you are trying to access an address in the slave device which is not defined or inaccessible or there can be issue with communication card , cable, or communication settings done inside IOmanager communication equipment channels must be checked. Mostly the issue observed is related to register mismatch between target and slave device. Correcting this will resolve the issues. What is the the number of candela per square meter for the Magelis XBTGTO? Can a Magelis HMI communicate to a M241 SL2 using SoMachine protocol? The M241 can communicate to an HMI via SL2. The default communication settings for SL2 does not match the settings for the COM of the HMI (baud rate and parity are different). If the settings are adapted, the communication works fine. Can the Magelis HMIPPF7A2701 be mounted at a 45 degree angle? The unit can be mounted at a 45 degree angle as long as the ambient air temperature does not exceed 85F and that there is enough air flow surrounding the unit. Why does Magelis HMI tell me to change my password when I log in? 2) After the defined time has elapsed. You will need to change your password in the runtime with the user manager part or redownload the application again. Can I have two Magelis HMI to the same serial port of a M238? No you cannot, there are two possibilities to realize configuration of a M238 + 2 XBTGTs. You can connect an HMI to the SL1 of the M238 and the second HMI can be connected to SL2. Why is there only some data logged in my Magelis HMI? When this situation occurs, it is likely the network settings on the HMI are incorrect. Ensure that the IP, Subnet Mask, Default Gateway, and DNS server are all set up correctly. Typically you can compare your PC’s settings vs the HMI’s settings to find the differences (if they are on the same network). Can the TM2 expansion modules be used on the Magelis STU and STO? No, if you want an HMI that can use the TM2 modules you will need to go to the HMISCU series. Is there a Magelis HMI that can withstand 80psi of pressure? Is it possible to download to a Magelis HMISCU with SoMachine using the IP address connection mode? SoMachine V4.1 SP1.2 does not support this feature. It is only possible to download using the Node name connection mode. 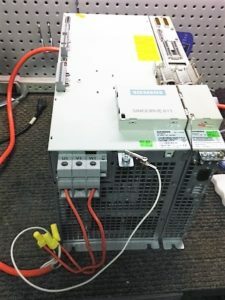 What methods are there to put a Magelis back to factory settings? Use the Vijeo Designer Runtime Installer found in the Start menu under Schneider Electric\ Vijeo-Designer to re-install the Runtime. What are the Magelis XBTGT7340 DIO output specifications? The Run, System Alarm and Event Buzzer outputs are rated for 24VDC and 50ma. What is the MTBF for the Magelis HMISTU855? Can the MBX Driver V7.0 be installed on a Magelis iPC Smart box with a primary 1GB CF card? No there is not enough available space on the primary CF card. MBX Driver requires Microsoft .NET Framework 2.0 which requires about 150MB of available space on the primary CF card. Can I use a VESA mount on the Magelis iDisplay MPCYT90NAN00N? Yes. The iDisplay MPCYT90NAN00N can be mounted using a 100mm VESA mount. Why can’t my Magelis HMI Communicate over Ethernet? One common mistake people make is plugging the Ethernet cable into the RJ45 COM port of the HMI. First thing to check is to see if your Ethernet cable is actually plugged into the Ethernet port (it is labelled accordingly). Is there a replacement keypad membrane for the Magelis XBTR410? No. There are no replacement keypad membrane for the XBTR410. Does the Magelis HMISCU support 3rd party drivers? The HMISCUs only support Schneider Electric protocols. It does not support any 3rd party protocols. It was a Marketing decision to not include 3rd party drivers. Does the Magelis HMISTO have e-mail functionality? Only the HMISTO531 and HMISTO532. Can I delay the Startup on the Magelis HMIGTO? A Startup delay can be added from the Target Properties under Startup Options. What is the fusing recommendation for the Magelis HMISCU? We recommend using a slow-blow, 2A type T fuse. Type T and Class refer to different characteristics. Type T is a time-delay slow blowing fuse. They are available in a wide variety of form factors and amperages. They typically have a fast over current link for surge spikes and a slower over current link for longer overload conditions. Which Magelis HMI models support DH485? Is a Magelis HMISCU capable of logging data? A HMISCU is capable of logging data onto an USB memory stick. Only the Vijeo Designer part of the controller will be able to do data logging. The SoMachine Logic Builder part cannot do data logging. What is the communication cable to connect a Magelis XBTN401 to a Twido TWDNAC485D MiniDin port? The cable part number is XBTZ968. What software is used to program Magelis HMIGXU series ? Vijeo Designer Basic V1.0 and higher is used to program the Magelis HMIGXU series. Can the keypad on the Magelis XBTGK’s be replaced? No, the keypad or membrane on the Magelis XBTGK’s are not field replaceable. There are no replacement parts for these and it will most likely have to be sent in for a repair. 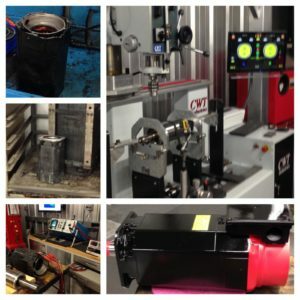 What are the MTBF’s of the Magelis HMIGTU series? See attached for the MTBF’s for the Magelis HMIGTU ranges. Is the Magelis HMIGTO work with neoprene gloves? The Magelis HMIGTOs use a resistive touchscreen. The touch is activated when pressure is apply to the screen and can be used with neoprene gloves. Can the Magelis HMI be mounted vertically? No, the Magelis series of HMIs programmed with Vijeo Designer cannot be mounted vertically. The reason for this is because Vijeo Designer software assumes that the (0,0) coordinate is the top left corner of the screen. Are the Magelis HMIGTO series ATEX Certified? Yes, the Magelis HMIGTO’s are ATEX certified and the models are listed below. Magelis HMISTU boots to the message Runtime Unsupported : The hardware platform does not match the target type defined in the application. Is there a way to recover from this? This usually can affect the following parts: HMISTU655/855, and HMIS5T. The HMISTU targets do not have a way to recover the Runtime. It is recommended that the unit be sent in for repair, or purchase a replacement unit. 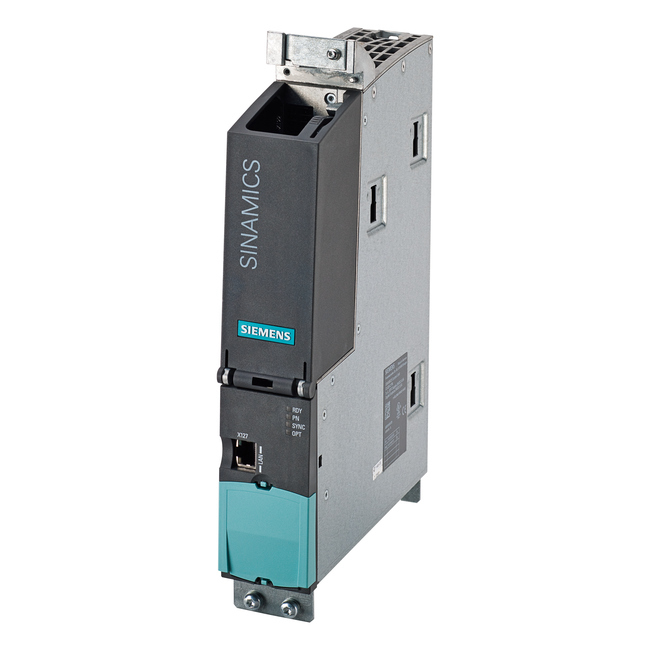 The Siemens 6SL3040-1MA00-0AA0 is a Sinamics S120 central control module in which the closed-loop and open-loop functions are implemented for one or more Line Modules and/or Motor Modules. The module features 12 digital inputs, 8 digital inputs/outputs, 4 DRIVE-CLiQ interfaces, 1 PROFIBUS interface, 1 LAN (Ethernet) interface, 1 RS232 serial interface, an option slot, and 3 measuring sockets. The 6SL3040-1MA00-0AA0 features integrated lateral holders, which allow it to be installed directly on a Line Module in book size format or on a power unit in chassis format. The holders required to do this are supplied together with the Line Modules and the power units in the chassis format. It is important to note that CompactFlash cards with firmware version 4.3 can only run a 6SL3040-1MA00-0AA0 / CU320-2 DP. The card may only be removed and inserted when the module is in a voltage free state. Performing this during operation could result in a loss of data and potentially a plant standstill. If you are replacing your Control Unit, remove the CompactFlash card and keep it for insertion into the replacement unit. This is important to prevent the loss of data on the card. An open input is interpreted by the CU320-2 DP as “low.” To enable the digital inputs function, terminal M1 must be connected. This is achieved by providing the ground reference of the digital inputs or a jumper to terminal M.
The 6SL3040-1MA00-0AA0 uses a 24V DC power supply voltage. It has a 1A DC current without the DRIVE-CLiQ or digital outputs. The module’s power loss is 24W, and the maximum DRIVE-CLiQ cable length is 100 meters. The unit weights precisely 2.3 kg. MRO Electric and Supply Company stocks both new and refurbished 6SL3040-1MA00-0AA0 Control Modules. For more information or to request a quote, please call 800-691-8511 or email sales@mroelectric.com. The Modicon 171CCC96030 is a M1/M1E Processor Adapter that is part of the Momentum Automation platform. It is compatible with a variety of software, including ProWORX NxT V2.0, ProWORX 32, Modsoft V2.5 and above, and Concept V2.6. It relies on an Ethernet protocol for its communication port, and also contains a I/O Bus port. The Ethernet port connector on this module looks like a Modbus port connector. Do not try to use an Ethernet adapter as a Modbus unit or attempt to place a Modbus connector in an Ethernet connector. The connectors and LED indicators are shown in the following diagram. This processor adapter contains 3 LED indicators – RUN, LAN ACT(IVE), and LAN ST(ATUS). If the RUN indicator is Green and on continuously, the CPU has received power and is solving logic. If this indicator is flashing, then there is an error pattern if the CPU is in kernel mode. If this indicator is completely off, then the CPU is not powered up or solving logic. If the LAN ACT(TIVE) indicator is continuously on OR blinking, then this indicates activity at the Ethernet port. If the indicator is off, then there is no activity detected. The LAN ST(ATUS) indicator should be continuously green during normal operation. A fast blink indicates normal Ethernet initialization at power up. Three flashes on the LAN ST indicates that no 10BASE-T link pulse is detected and the cable and hub should be checked. Four flashes indicate that a duplicate IP address is detected, and five flashes indicates that no IP address is detected. If the LAN ST is off, then there is no valid MAC address. It is important to note that the 984LL exec used in the 171CCC96030 will not operate in a 171CCC96020. The 171CCC96030 has a variety of web services included. It contains a data editor, rack viewer, web page loader, and web page loader software tool. Its Ethernet services include I/O scannning and Modbus TCP messaging. The processor has 544 kB of RAM and 1MB of flash memory. 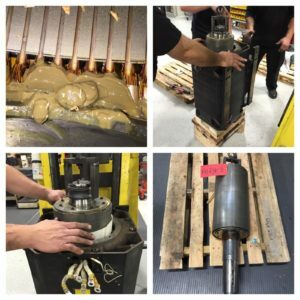 With ProWORX software, it can process 80 I/O words per drop. With Concept, it can process 128 I/O words per drop. 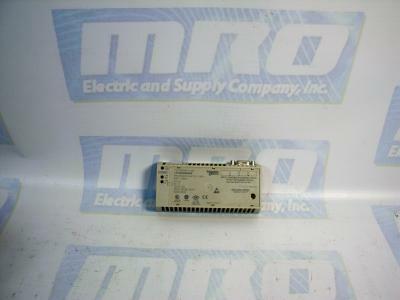 MRO Electric and Supply stocks new and refurbished 171CCC96030 Processor Adapters. To request a quote or for more product information, call 800-691-8511 or email sales@mroelectric.com. 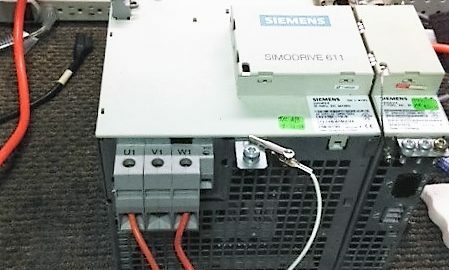 The Siemens 6SN1123-1AA00-0CA2 is a Simodrive 611, 1 Axis Power Module. With the control module, the 6SN1123-1AA00-0CA2 forms the drive module for feed or main spindle applications. The module provides power to the control boards as well as the connected motors. 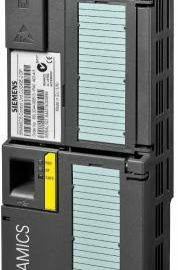 It can be used to operate a variety of Siemens and 3rd party motors. This module is graded according to a certain rating and can be supplied with three different cooling techniques. The module is equipped with overload protection. When this is dimensioned properly, it prevents both the cables and motors from being overloaded. the power module has two operating modes – one for Feed drives and another for Main spindle drives. The 6SN1123-1AA00-0CA2 can be used for a variety of solutions due to its modular and space saving attributes. The module’s output limits can be modified by the control module in use. The drive modules can be operated from both an unregulated and regulated supply modules belonging to the Simodrive 611 drive system. The power module draws its supply required to control the motors from the DC link. Ensure that the power module is in a no-voltage condition. Check that the memory module is inserted and locked into place in the control board. Insert the control board into the power module. Tighten the screws retaining the board (2 on front panel). Connect the front panel of the board corresponding with its applicable connection diagram. The mating connectors must be inserted at the appropriate interface. 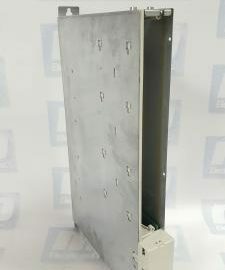 MRO Electric stocks both new and refurbished 6SN1123-1AA00-0CA2 Power Modules. For more information or to request a quote, please call 800-691-6511 or email sales@mroelectric.com. The Magelis XBTGT7340 is an advanced touchscreen panel with with a backlit color TFT LCD display. It has a display size of 15 inches and a resolution of 1024 x 786 pixels XGA. The panel uses a Magelis operating system and a CPU RISC processor with a frequency of 266 MHz. It contains 512 kB of SRAM backup memory. It also has a slot for a compact flash card for 12 MB to 1 GB of additional storage. The backlight lifespan on an XBTGT7340 lasts 50,000 hours, so it may be time for your panel to be repaired or replaced if you are experiencing display problems on an older unit. The XBTGT7340 panel is equipped with a number of diagnostic features that can be used to check its system and interface for any troubleshooting issues. From the “Settings” menu, touch the “Offline” tab and then the “Self Test” icon to access these features. The Self Test checks the following functions: Character Pattern, Display Pattern, Touch Panel Cells, COM 1 & 2, and Video Memory. The message “NG” will appear on these tests if there is an error. It is important that regular cleaning of the front panel and gasket is performed. When the surface of the display gets dirty, soak a soft cloth in little water with a neutral cleaning solution and wipe the display. The gasket on the XBTGT7340 protects the unit and improves its resistance to water. If the gasket has been in use for a long period of time, it may have scratches and debris on it, which can reduces the unit’s water resistance. Be sure to change out the gasket at least once a year, or if any visible damage or dirt is apparent on it. 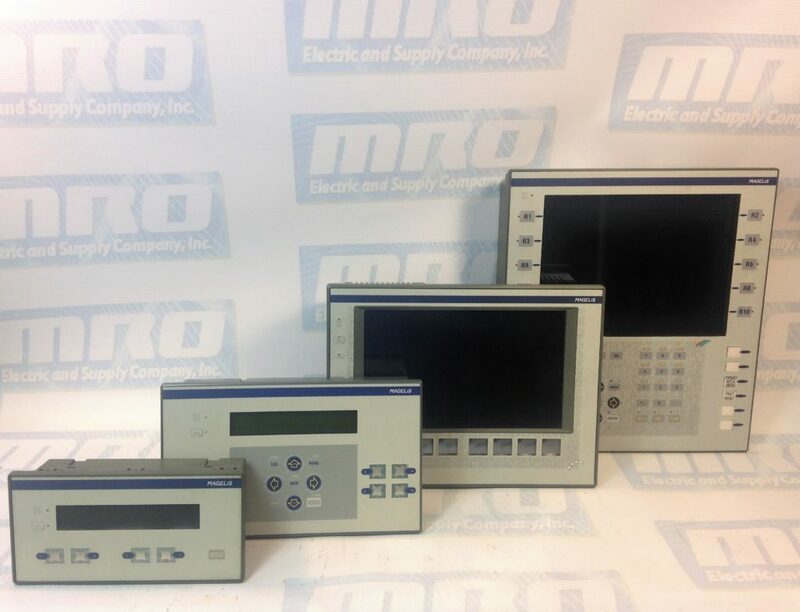 MRO Electric stocks new and refurbished XBTGT7340 panels. For more information or to request a quote, please call 800-691-8511 or email sales@mroelectric.com. The 6SL3244-0BB12-1FA0 is a Sinamics G120 Control Unit. This unit features a Safe Torque Off (STO) function that prevents energy from being supplied to the motor, which can generate torque. This function can be used in a number of ways. It can be used with an Emergency Stop button, so that when it is pressed, the stationary motor does not start. It can also be used with a central Emergency Stop button to ensure that several drives cannot unintentionally start. The module functions by recognizing the selection of STO via a fail-safe input or via the safe communication PROFIsafe. The converter then safely switches off the torque of the connected motor. If no motor brake is present, the motor coasts to a standstill. If a motor holding brake is in use, the converter closes the brake immediately after selecting STO. The Safe Stop 1 (SS1) is another function of the 6SL3244-0BB12-1FA0. The SS1 function brakes the motor, monitors the magnitude of the motor deceleration within defined limits and initiates the STO function if the motor speed falls below a specified value. The SS1 function brakes the motor, and monitors its absolute speed. If the motor speed is low enough, the converter safely switches off the motor torque using STO. The third function of the 6SL3244-0BB12-1FA0 is Safely Limited Speed (SLS). The SLS function prevents the motor from exceeding the defined speed limit. SLS monitors the absolute value of the actual speed and limits the speed to values below the monitoring threshold. The Safe Direction Function (SDI) prevents the motor shaft from moving in the wrong direction. It does this by monitoring the actual direction of rotation, and also limits the speed to values in the permissible direction. The Safe Speed Monitor (SSM) function supplies a safe output signal to indicate whether the motor speed lies below a defined limit. SSM cannot be selected or deselected, it is only active when monitoring velocity is > 0 for SSM. The converter then compares the load speed with the speed limit and signals if the limit value has fallen below the high-level control. 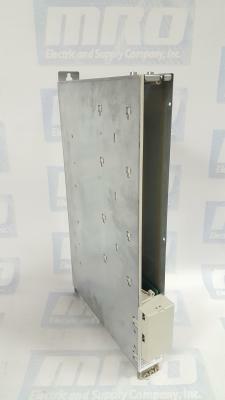 MRO Electric has New and Refurbished 6SL3244-0BB12-1FA0 Units available. For more information or for a price quote, please call 800-691-6511 or email us at sales@mroelectric.com.